Hard Rock Hell will take place at Pontin’s Resort – Prestatyn Sands, LL19 7LA. North Wales on 29th November – 3rd December 2012. Ace Frehley, Bolt and Primordial are among the bands that will perform at the Hard Rock Hell 2012 festival. 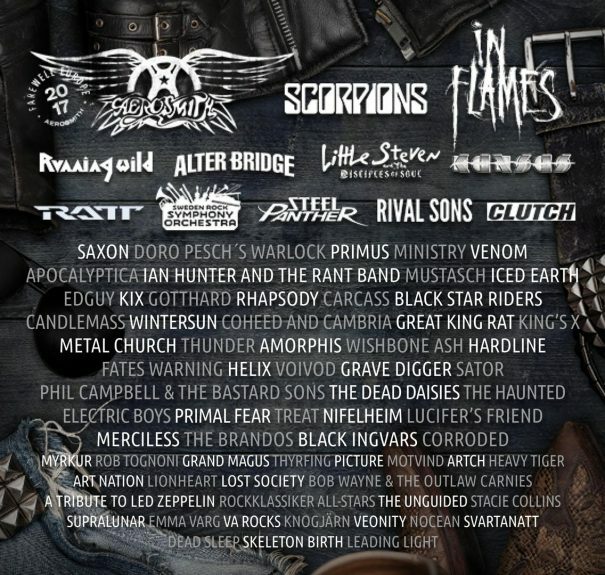 Saxon, Deep Purple and Skid Row are among the bands that will perform at the RockWeekend festival held at Mohed Airfield in Söderhamn, Sweden on July 08-10, 2010. Sweden Rock Festival is a big music festival with it´s main focus on the heavier aspects of music. The festival celebrates bands and artists with a glorious past but does not forget the talents of today and, of course, future heavy weights. Over the years the festival has become on of the main rock festivals in Europe and attracts fans and media from more than 40 countries.